Hundreds of boys made their way back to Christ Church this week, but for 255 it was their first day at a new school. 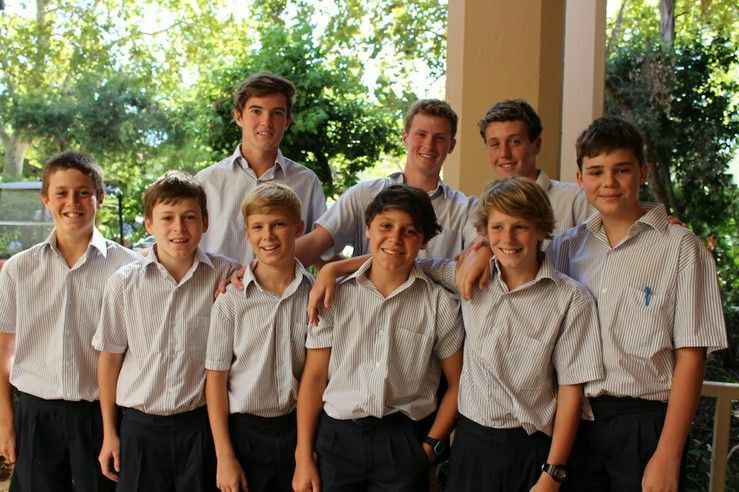 Ninety-two new boys joined Year 7 in the Senior School, 42 Pre-Primary boys and 48 new Year 4 boys entered the Preparatory School, and the Walters Residential Community welcomed 27 new boarders. 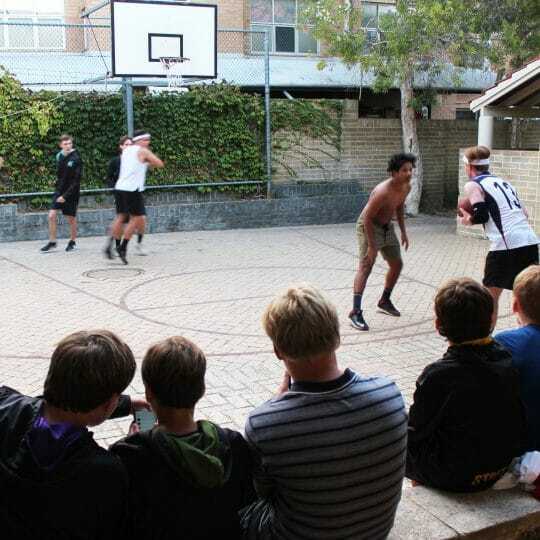 Head of the Senior School Roger Bayly said Saturday’s heat did not hinder the excitement of the boys who attended an orientation morning for new Years 7 to 12 students. The boys and their parents met key members of the School’s Executive Team, pastoral and co-curricular staff and were addressed by School Captain Simon Swan. 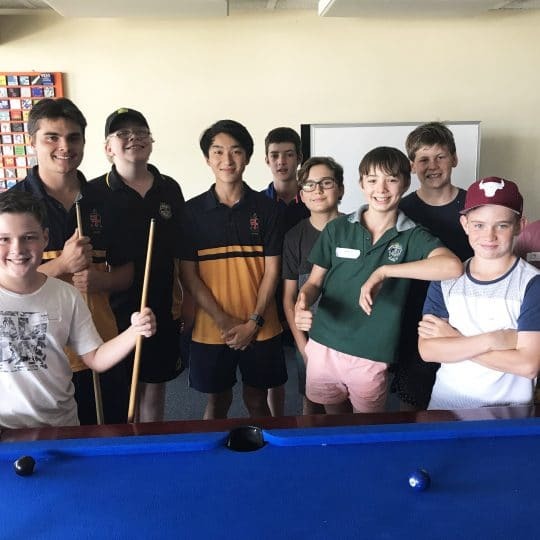 Year 11 peer support leaders (pictured with Year 7 boys) also played an important role in the day, helping the boys master their locker combinations and chaperoning them to student photographs and refreshments, where they met School Prefects and other members of the student leadership group. Meanwhile, parents had a chance to meet with their sons’ Heads of House and tutors in a series of parent-tutor interviews. This week, all Year 7 boys attended their first peer support session as a lead into transition activities in Weeks 2 and 3. 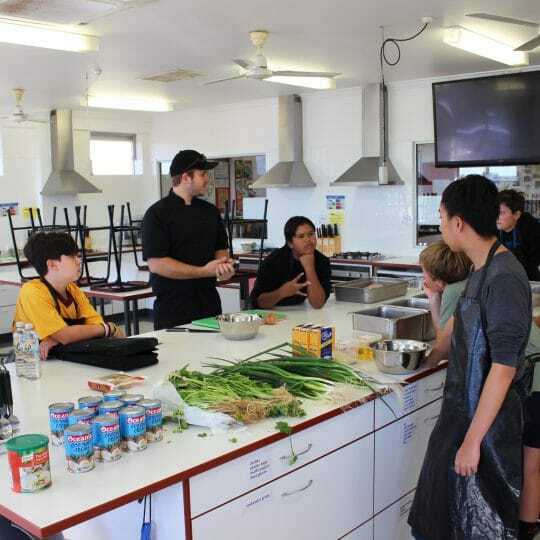 The activities aim to ease the move from primary to secondary school by building relationships within the year group as well as with peer support leaders and staff. At the first Prep School Assembly on Monday, Head of the LW Parry Preparatory School Richard Wright spoke to the boys about how the ‘newness’ of everything was a signal to everyone they had an opportunity to make this year whatever they wanted to. “I also talked about goal setting for the term and of creating goals that were achievable by breaking down the steps required and thinking of ways to celebrate their achievement,” Mr Wright said. Years 3 and 4 Teaching and Learning Co-ordinator T’Ann Steel said activities involving all Year 4 boys gave new and ‘old’ boys a chance to interact with their peers. “Of course, the classroom teachers also monitor the boys closely to ensure they experience a seamless transition into Christ Church,” she said. New Prep School parents also had an opportunity to get to know the School and staff at the Prep School Parent Information Evening on Wednesday, with Parent-Teacher interviews to be held in Weeks 2 and 3. Last Friday was also an opportunity for new boarding families to orientate themselves with the residential community. Parents of new boarders were invited to sleepover in the boarding house to get to know staff and other boarding families, and to share concerns and feelings with other parents who have experienced what they are going through. 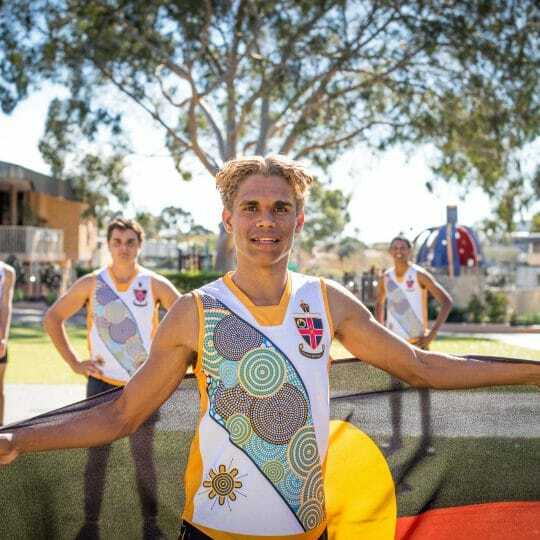 Director of the Walters Residential Community Geoff Guggenheimer said the aim of the orientation program was to provide parents and boys with a greater insight into the people, processes and environment that the boys were going to be living in. “Our hope is that it dispels or allays the trepidation that is experienced by some, while enlightening those new to the community about what to expect from us and what to expect from their sons,” he said.